Converged Communication Systems is a premier Avaya partner sales, services, support, and maintenance provider for business telephone systems and data networking products. We specialize in Avaya Communication products, however work with many other phone system and data product manufacturers to provide a complete solution based around your business needs. 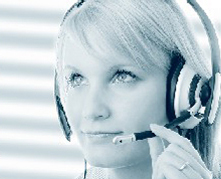 For more information call our centrally located Avaya Chicago based support center at (877)599-9997. Also, visit our headquarter website for more information at http://www.convergedsystems.com. VPN Options: Connect remote workers! Avaya Financial Services finance company of choice! and http://www.bigstockphoto.com copyright by Aleksey Poprugin & Wayne Ruston.